How to watch Nikita: Nikita: Season 4 (2013) on Netflix Singapore! Sorry, Nikita: Nikita: Season 4 is not available on Singaporean Netflix, but you can unlock it right now in Singapore and start watching! With a few simple steps you can change your Netflix region to a country like USA and start watching American Netflix, which includes Nikita: Nikita: Season 4. We'll keep checking Netflix Singapore for Nikita: Nikita: Season 4, and this page will be updated with any changes. Nikita: Nikita: Season 4 is not available in Singapore BUT it can be unlocked and viewed! Nikita, one of the most highly skilled assassins on earth, targets the mysterious corporation that turned her and other at-risk teens into killers. A lethal assassin plots revenge against those who trained her. She'll stop at nothing, even in stilettos. Season 1 of Nikita has 22 episodes. Because different Netflix countries have different availability for episodes, you'll need to check the episode listing below to see which are available in Singapore. Maggie Q stars as the rogue Nikita, who is determined to bring down the very agency that trained her to be an assassin. Percy and Michael take their latest assignment into protective custody, but Nikita learns of their hideout and attempts to thwart their plan. Nikita rescues Jill, a journalist trying to expose a conspiracy involving Division and a major plane crash. Amanda interrogates Birkhoff. Nikita revisits her past when she posed as a nanny for an influential government official and decides to right the wrong of his death. Division operative Owen escapes from a bank robbery and becomes a fugitive. Alex attempts to warn Nikita, but she is busted by Thom. A bus of Division recruits is attacked by terrorists who kidnap Alex and Thom, both of whom are unaware that this is a test by Division. Alex informs Nikita that one of the recruits has been activated to carry out a suicide mission. Nikita intercepts the recruit just as Michael arrives. If a U.S. senator agrees to help pass a bill that will continue to fund Division, the agency will cover up the senator's secret affair. Nikita and Michael temporarily team up to kill a terrorist. Alex is caught going through medical files inside Division and creates a lie about Jaden. 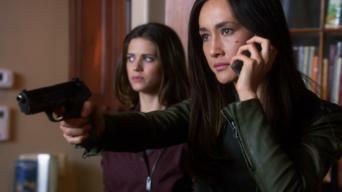 Nikita and Owen go to Chile in an effort to rescue Ryan from mercenaries, but they end up getting captured. Alex is sent on her first kill mission. Birkhoff discovers the shell program that has been used to connect to Nikita in the outside world. Nikita realizes Division has implanted a kill chip in Alex's head, who is now an agent. A plan to foil Alex's first assassination assignment goes awry when Nikita trusts the wrong person. To help Ryan with a mission, Nikita must reassume an old identity she had while undercover at Division. While out on a mission, Alex runs into Irina, a woman from her past, and tries to help her. Alex is sedated to help her heal after her last mission, but Amanda takes advantage of Alex's drugged condition to question her. Michael confronts Nikita and reveals that he knows Alex is the mole. Nikita goes to London with Owen to retrieve one of Percy's black boxes; there, the two disagree about what to do with it. Alex and Jaden are assigned an overseas mission, but when things go awry, Alex must decide whether to try to save the mission ... or herself. When Nikita goes to a small town after one of Percy's black boxes, she is shocked to find the guardian of the box has abandoned her post. Michael sends Nikita in to save the last person on the list of black box protectors, a CIA cryptographer named Malcolm. Percy makes a move to take over the CIA, Alex goes rogue, and Michael is trapped inside Division, unable to help Nikita when her life is in peril. Season 2 of Nikita has 23 episodes. Because different Netflix countries have different availability for episodes, you'll need to check the episode listing below to see which are available in Singapore. Nikita and Michael plot to take down Division and Oversight. Amanda, who is now running Division, enlists Alex's help to stop them. Nikita and a reluctant Michael join forces with Owen, who is searching for the mastermind behind the Regimen. Meanwhile, Percy demands to see Alex. Amanda convinces Alex to kill a man who used to work for Alex's father. When Nikita disrupts Amanda's plan, Amanda takes what Nikita loves most. Nikita is stunned to hear her old Division partner Kelly has escaped from a Turkish prison, having believed Kelly died when Nikita fled Division. Michael wants to help a woman in danger whom he once romanced under Division orders. Sean begins to doubt Division's true motives. With her found birth certificate, Nikita and Michael track down her father. Percy tells Alex the black box could help her avenge her father's death. Amanda intercepts messages between Nikita and Ryan, who is in prison and has learned how Oversight is funded. Alex faces someone from her past. Michael helps Cassandra after hearing General Tupelov will kill her unless she returns money she allegedly stole, but Nikita is suspicious. 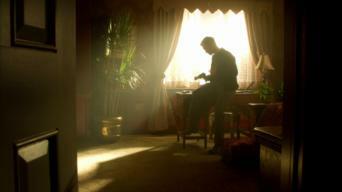 Sean captures Birkoff and, when he won't reveal where Nikita is hiding, Amanda tortures him. Meanwhile, Alex attempts to reclaim her father's empire. Nikita turns to Owen to help her track down another black box, but discovers his unlikely employer that could jeopardize her whole operation. Alex's mission to take down Gogol comes to a head as she infiltrates her childhood home and faces ghosts from her past. Sean attacks Nikita and Michael to protect his mother. Percy gets the upper hand on Amanda and threatens to level Division unless she releases him. Nikita must decide if she will try to save Division. Sean turns to Nikita, Michael and Alex for help. Percy threatens to kill Nikita's mentor, so she uses Madeline to send a message. Amanda tells Alex it's time to reveal Alexandra Udinov to the world. Nikita is shocked by what Carla recounts of the night Nikita was arrested. Alex shows up at a Zetrov press conference to make an announcement. Amanda reluctantly offers Nikita a deal: Stop Percy from murdering Division's agents and Nikita can have Ryan. Michael is furious when he discovers a secret that Cassandra kept from him. Alex makes a last-ditch effort to find her mother. Amanda and Ari prepare to take over Zetrov. Alex surprises Ari by showing up at the board meeting with an old and powerful friend. Nikita is tortured by someone she previously targeted. Percy plays mind games with Michael, Alex and Sean, pushing one of them to the brink of death. After losing his life savings to Percy via a plan gone wrong, Birkhoff hacks into an old network, which trips a trap set by the FBI. Nikita opposes Ryan's plan to go to the CIA and is surprised when Michael takes Ryan's side. Sean is shot by Percy's men, shaking Alex to the core. Percy threatens to set off a nuclear explosion. Nikita realizes the best way to stop Percy is to go into the belly of the beast: Division itself. Nikita and Michael invade Division in an attempt to capture Percy, and Alex and Sean get caught in a deadly gunfire battle with the U.S. Marines. Season 3 of Nikita has 22 episodes. Because different Netflix countries have different availability for episodes, you'll need to check the episode listing below to see which are available in Singapore. Ryan and Nikita launch a mission to bring in the rogue agents who failed to respond to the Division recall after Percy was killed. A rogue Division agent has brainwashed a young girl and trained her to be a Division agent to help him on his own personal mission. Nikita, Michael and Sean attempt to stop a terrorist attack but are one man down after Alex is shot. Meanwhile, Birkhoff and Sonia continue to bicker. Amanda sends a rogue agent to spring Owen from a Russian prison, but he manages to escape her clutches and learns that Nikita is with Division now. Division discovers one of their rogue agents has been elected president of Uzbekistan and is planning to kill the president of the United States. Nikita and Michael capture an arms dealer who is purchasing a weapon-jamming device for Ari. Meanwhile, Birkhoff is hot on the trail of Amanda's mole. Birkhoff tells Nikita that Sonya is Amanda's mole and that Amanda has reactivated Sonya's kill chip and also placed a second mole in Division. Nikita and Owen face off against a rogue "cleaner" named Liam, while Michael takes a new position at Division. A rogue agent named Ray kidnaps his girlfriend, Kate, so Ryan dispatches the team to rescue her. Meanwhile, Sean makes a decision about Alex. Michael resumes his role inside Division running Operations. Nikita preps a secret mission that takes her into dangerous territory. Amanda frames Sean for the assassination of the director of the CIA, and the CIA takes him into custody. Nikita promises Alex they will free Sean. Ari tells Nikita that Amanda has gone too far and is working with a terrorist who plans an attack on American soil. In order to gain control of the black box, Amanda makes plans to kidnap Ari's son, Stefan, to use him as leverage. Ari begs Nikita for help. Amanda holds Alex hostage and tells Nikita she will release Alex in exchange for Ari. Michael assigns Nikita and Sean to handle the exchange. When Nikita decides Division should take on a government mission to eliminate the president of Chad, Alex takes a stand and refuses to participate. Nikita and Michael learn of a new prosthetic hand that could have Michael back to his old self, but it comes at a steep price. Alex confesses to Birkhoff her desire to leave Division. Amanda begins providing Owen with memories of his real past. Strapped down and drugged, Nikita is subjected to Amanda's horrific mental conditioning process, sending her on a terrible trip down memory lane. Undone by Amanda's programming, her inability to save everyone and her responsibility for the tragic events at Division, Alex violently strikes out. The black box falls into the hands of a mutinous agent guided by Amanda. Nikita, Michael and Alex stage a daring operation to regain control of it. Michael questions his fiancée's commitment to a life beyond Division's web of deceit, double-crosses and death, and he's not the only one with doubts. Amanda forces Nikita into a life-threatening situation where she has to choose between saving Michael -- or saving herself. Nikita: Season 4 of Nikita has 6 episodes. Because different Netflix countries have different availability for episodes, you'll need to check the episode listing below to see which are available in Singapore. With Nikita still on the run after being accused of a shocking crime, a news reporter gives her hope that she may be able to clear her name. Nikita reunites with Michael, Birkhoff and Ryan on the team's aircraft command center, and Michael advises Nikita to let them help her clear her name. Evidence of Nikita being hired by Pakistan to kill the U.S. president escalates tension between the countries; Ryan becomes suspicious of Birkhoff. 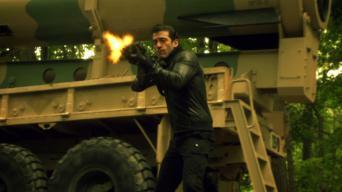 Jones takes control of the operation and offers Nikita and the team freedom and new identities if they'd be willing to walk away from the mission. Ryan confesses a secret that could unravel Nikita's plans; Alex puts Sam in danger when she misjudges his intentions with a suitcase full of diamonds. Nikita leaves the team behind and takes Alex on the road to exact revenge on MDK, leading her to make a shocking decision when she's cornered.